In order for the network to be secure, it needs a large number of miners (Proof of Work) or validators (Proof of Stake), who are incentivised to act honestly and secure the network. The primary way of incentivising such actors is to pay them in the native token. Independent actors (required if the network is to be decentralized) will only consume their resources to earn a token if they judge that said token will appreciate in the long term. The only way that it will appreciate in the long term is if significant numbers of users join the platform and start using the token, which has a limited supply/rate of inflation. The platform will only attract significant numbers of users if it offers significant benefits over current centralized alternatives. It seems almost implausible that anyone with a basic understanding of economics could believe that a platform that uses a currency which is by design highly volatile could be considered superior to one that uses a stable currency. Apart from anything else, volatility disincentives users to actually use the platform for its purpose. It makes much more economic sense to hold, and see if my token can buy more goods tomorrow. Cryptoeconomics is about incentivising and aligning behaviour. The basics laws of economics and of doing business have not changed. The model employs circular reasoning, and is deeply flawed. It’s overwhelmingly likely that most people pitching an idea in this model merely want to profit from the speculative value that they hope the token will reach when it is listed on a secondary trading platform. Neither is this an innovation. Ponzi schemes have used this model of circular reasoning since Sarah Howe in the 1880s and Charles Ponzi in the 1920s. The problem is, it is currently extremely, extremely difficult to give physical objects a unique digital identity. RFID chips do not take away from the fact that you are tagging the packaging or the housing, not the product itself. Provenance is currently guaranteed by the central authority that made it, and even if the blockchain can prove that the non-trusted party you want to buy the product from did indeed buy the item from the manufacturer, there is no way of guaranteeing 100% that you will not receive an object with the same digital identity (RFID chip, serial number), but different quality and contents. Whilst humans do have unique biometric identities, most commercial goods in most value chains do not. Until baby formula, or diamonds, or medicines have unique and easily verifiable molecular identities that can be hashed onto blockchains, the exchange of real world goods will involve trusting a second or third party. This is not to say that the blockchain won’t make things better. There are a number of problems in the supply chain that can be solved by DLT, but this is not a hugely technical task, and no number of protocols or software development can solve the problem without a corresponding business solution. There will be complex solutions that use blockchain infrastructure to increase efficiency, and increase transparency, but the holy grail of total decentralization faces huge technological barriers. The blockchainer who wants to do “something” with the blockchain, but does not have a concrete business model. Liable to Fallacy #1. 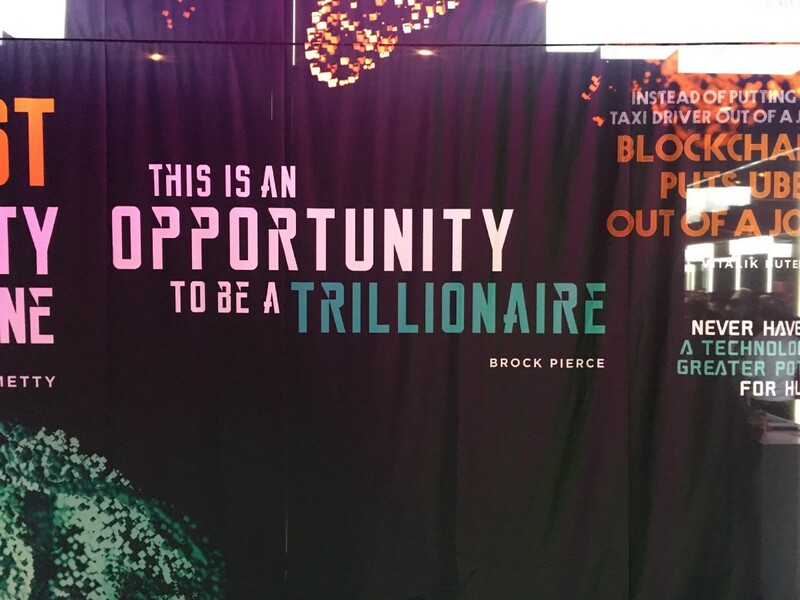 The businessperson who wants to do “something” with the blockchain. They may have a business model, but it probably won’t work with the blockchain. Liable to fallacy #2. The inadvertent scammer. Marketing and communications middlemen, who are deforming the debate with their incomplete understanding of blockchain, investments, and business models. Particularly susceptible to Fallacies #1 and #2. “The blockchain will take care of that”. The funders. They will throw money at anyone wearing a hoodie with a passing resemblance to Vitalik or Zuckerberg. The blockchainer with a great idea, but who chooses to ignore technological realities, timeframes and plausibility. Scalable public chains with complex multi parameter smart contracts are years away. This last figure is particularly interesting, and prevalent. A few may succeed. However they must remember that we do not yet have a decentralized network scalable enough to support any industry’s millions of transactions. Anyone that wants to decentralize and revolutionize something,must first accept that it will be a number of years until the technology is ready and scalable enough to support a revolution. People in the community need a clear idea of how (and when) they are going to build expertise, bring in business, and create revenue until that tipping point. They cannot just hypothecate speculative network effects and platform growth in order to safeguard their projects’ long-term business viability. ICOs may have helped some people solve that problem, but the legal and regulatory nightmare is only just beginning. Perhaps predictably, it was projects aimed at business-to-business (B2B) markets that did not always have this problem. The decentralization ideologists won’t be happy, but the only projects making revenue (other than speculative token appreciation), and putting out real world products, are ones that use private permissioned blockchains, probably in corporate settings. This is what we are doing at Konfid.io. Our goal is to accelerate the path towards a decentralized future, but we accept that building global decentralized applications is going to take vast amounts of resources and expertise. 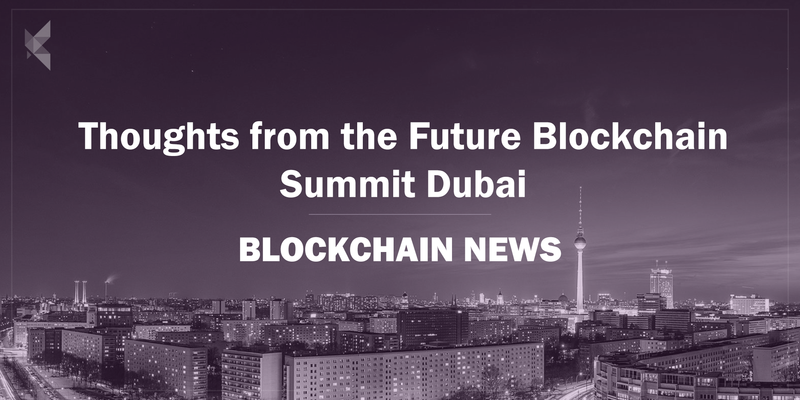 That’s what we are building, and we took the first step in Dubai as we exited stealth mode with our first B2B blockchain product. 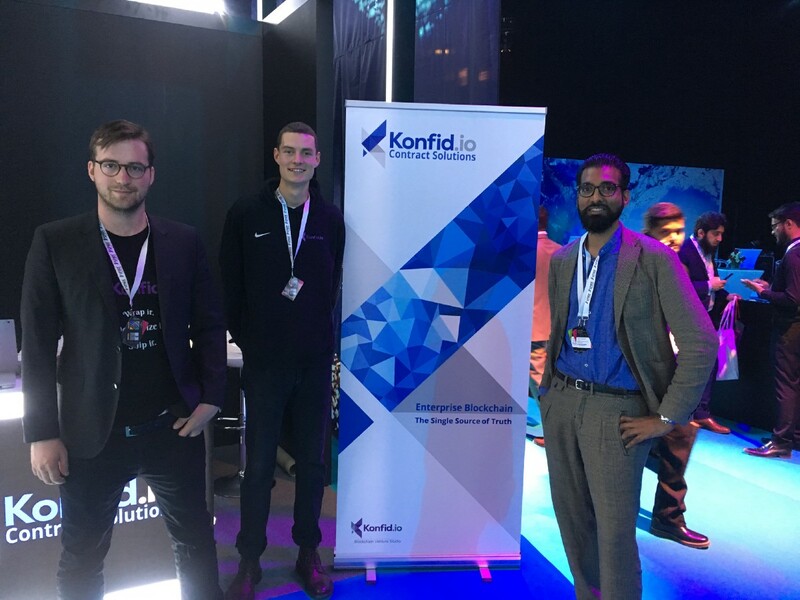 Konfidio is a technology consultancy and venture studio based in Berlin that focuses on Blockchain technology to build decentralized applications in private as well as public distributed systems.